Simonne is an artist, scientific researcher, model, composer, producer, and multi-instrumentalist. For her, music, science, and humanitarian efforts are inextricably linked. She holds university degrees in visual arts and biomedical research, with minors in biological Sciences and art history. She’s been at the frontlines of HIV research in the field and in the lab, and has explored music as daily ritual in the Amazon, during an immersive indigenous experience immortalized in Jean Michel Jarre’s documentary Soundhunters. Her singular musicality embraces electronic music, pop, the avant-garde, classical, new wave, industrial, and alt-rock. 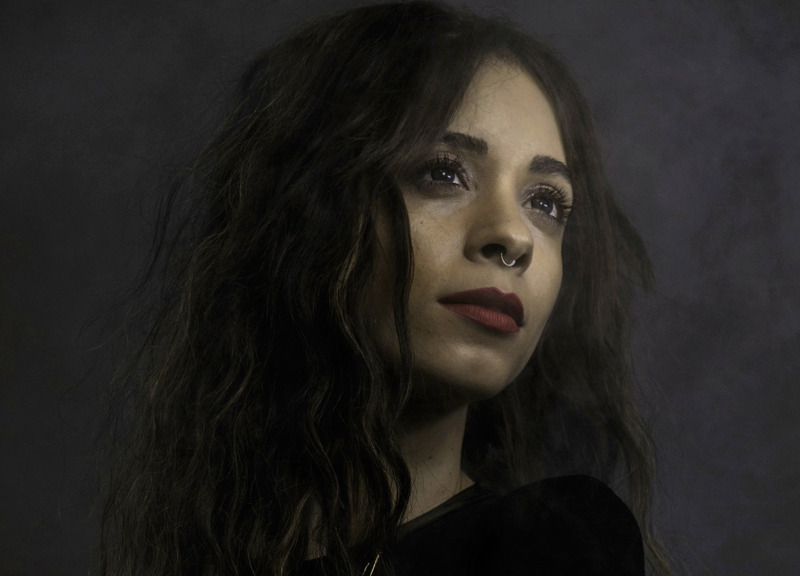 Simonne’s compositions exhibit a dark beauty with imaginative arrangements, daring electronic soundscapes, majestic hooks, and lyrics that brim with poetic poignancy and metaphorical enlightenment. [...] The QLXD4 receiver I use is super clear and I haven't had a single drop out yet. When I compare my live show recordings with my old mic to the KSM8 it sounds pristine and a little unreal, much closer to how my song sounds in the production. It seems to be the holy grail of wireless mics. When my sound techs see it, they pull it out of the case slowly with wide eyes as if it were glowing!